A Single Voting Day has taken place in Russia. It is single because the elections of mayors and heads of administrations are taking place according to a single scheme “elections without choice” designed by political cheats. 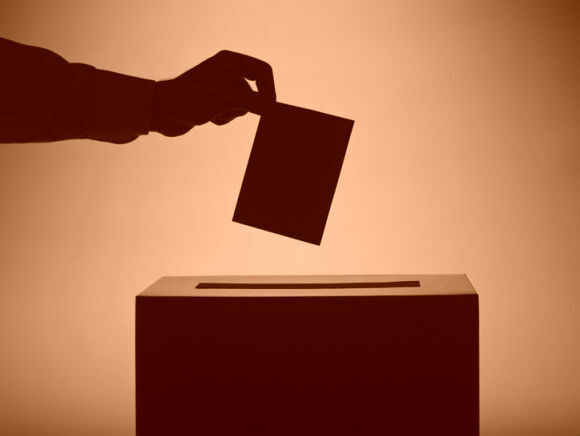 The mechanisms that have already become a long-standing tradition not only leave independent candidates no chances to win but also prevent them from participation. Nobody elects anyone – the Kremlin appoints mayors and governors. They mock elections by making it appear that voters who participate in the process do not want any alternative. A municipal filter is a good way to withdraw the opponents of Vladimir Putin’s policy from elections. It is impossible to overcome the filter. Yabloko experienced this problem in Yekaterinburg, Pskov and the Moscow Region. Most people understand what is going on. This is why the real voter turnout is about 20 per cent in many towns and whole regions. When the turnout is low it is enough to gain about 10-15 per cent of votes in general to “win”. It means that the opinion of 85-90 per cent of residents is not taken into account at all. As a result of these “non-elections” unknown people come to power in Russia’s regions – former security guards of the president, former drivers of former assistants of the president. They are people who proved to be loyal servants of the acting government, people without any will, ideas, programmes, knowledge, experience… These days they also call them “technocrats” or “managers”. This way politics in Russia’s regions is being destroyed: politicians are substituted with useless and obedient doers. They have to be able to solve at least some problems and pretend that they are effective to some extent in the situation of oil prices downturn and sanctions. Those who fail to do so are substituted with other “managers”. Putin does not see Russia as a federative state with 85 constituent entities. He sees it as factory with 85 production departments and the main office in the Kremlin. The actual authority of governors is being systematically limited in favour of Moscow. At the same time governors are being indulged and the federal government close their eyes to corruption (up to a point) and violation of human rights in exchange for obedience and loyalty. They rule the regions by means of surveillance, prosecution and police, by means of fear rather than law and economy. It is not surprising that regional elites are intimidated and suppressed. Doing away with politicians and politics in the regions and creating the whole army of officials who are government’s flesh and blood and cannot possibly imagine any other governance model means that even after Putin leaves office the transition from a mafia-state to a different governmental system will be difficult and dangerous, if possible at all. Perhaps you might wonder why the “non-election” of Sobyanin, for example, is deprived of any social importance at all in compression with “non-election” of Putin. The answer is that the “non-election” of Putin gave at least some opportunity to draw attention to the problem of war and peace and try to make it known that a war is a bedrail of Russia’s national interests, it is a crime and if we do not stop engaging in wars it will not be possible to solve the problems of pensions, wages, healthcare or housing. The “non-election” of Moscow mayor, head of Khakassia, governor of the Pskov Region or Chukotka has no impact. The “winner” will be chosen by the presidential administration and their sphere of influence will be determined there as well. All discussions and arguments on management issues under present conditions are like “fighting for improving living standards” ahead of mass political reprisals in 1937. P. S. To be fair, the elections to regional and city parliaments are the only opportunity we have left to exercise our right to vote despite fraud and corruption. Participation in elections gives us at least some chance to promote young politicians who do not make part of Putin’s paradigm (this is why we still need primaries and nominate our candidates). I congratulate Yabloko branches in Yekatringburg (5.4 per cent) and Veliky Novgorod (10.5 per cent) on their election results – they managed to clear the threshold and form factions in city parliaments. Posted: September 11th, 2018 under Elections, Gubernatorial Elections 2018, Moscow Mayoral Election 2018, Presidential elections 2018, Regional and Local Elections 2018.